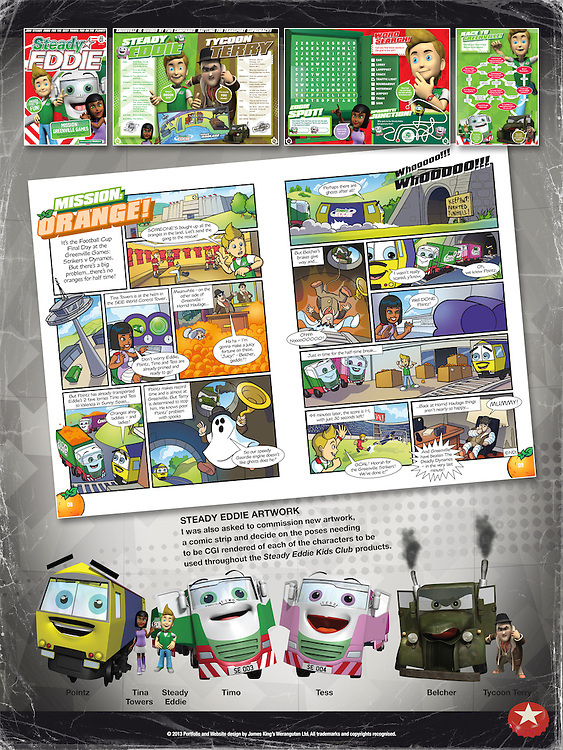 Steady Eddie Kids Club – EDDIE STOBART. Join Steady Eddie and his top transport crew for the best travel fun on the planet! There are quizzes, challenges and games galore – enough to help any journey whizz by. like Belcher and his boss Tycoon Terry! © 2017 Portfolio and Website design by James King’s Werangutan Ltd. All trademarks and copyrights recognised.